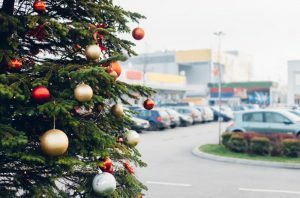 How to survive holiday parking challenges with your safety, security, and sanity intact. Choose the Best Times to Shop. If possible, try to avoid shopping on the most crowded shopping days. These include the Friday and Saturday before Thanksgiving, the day after Thanksgiving (Black Friday), the three Saturdays before Christmas, the day after Christmas, and the Monday, Tuesday, and Friday before Christmas. You’ll encounter fewer shoppers midweek, right when the store opens, around 3:15 (when parents are picking up their kids from school), and just before closing time. Lunchtime and weekends guarantee more competition for parking spaces. Are you a parking “vulture” who circles around a lot before deciding where to park, or a “stalker” who follows someone with bags or a cart and waits for them to load and leave? Research shows that these strategies may cost you significantly more time in the lot—the person you are following may be headed to a different aisle, drop items off and return to a store, or take a while to exit the parking space. “Stalking is only your best option when there are no spots left,” says Shawn Conrad, CAE, CEO of IPI. “When spots are still available farther away, head directly there. There will be a lot less congestion and wrangling for space. In most cases, you’ll beat the others to the door and avoid exit lines.” According to Conrad, an increasing number of parking facilities now feature high tech guidance systems that provide real-time information on space availability with lights that indicate open spots — part of a movement to make parking not only easier, but more sustainable by reducing fuel consumption and emissions from circling. According to insurance statistics, parking-related crashes account for 70 percent of all car accidents and 14 percent of auto damage insurance claims. Be watchful of pedestrians, especially small children, as well as other drivers, and avoid texting and checking shopping lists until you are safely parked. Make sure that everyone is using a seat belt or child car seat while the car is in motion. Consideration for fellow drivers goes a long way, especially during the stressful holiday season. Unless you have a legitimate placard, never pull into a space designated for people with disabilities—even if it’s just for a minute. Park between the lines and make sure your neighbors can open their vehicle doors. Take a few seconds to note where you parked–using a smartphone to take a snapshot can help. And always lock your vehicle, close the windows, and hide valuables and packages in the trunk. Take Advantage of Mobile Parking Apps. 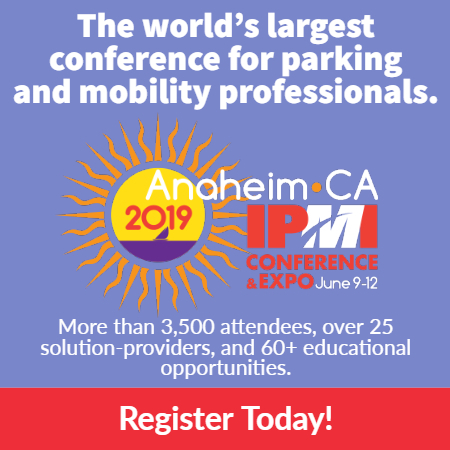 There are a number of mobile parking apps that can help you find garages, lots, and other spots near where you’re going, as well as their prices so you can find the cheapest spot before your trip. Many retailers and restaurants list parking options on their websites. Better yet, take advantage of ride-sharing services and public transportation and enjoy the freedom of not parking. With many large retailers choosing to close on Thanksgiving Day this year, the shopping season could wind up busier than ever—especially from Black Friday to New Year’s Eve.